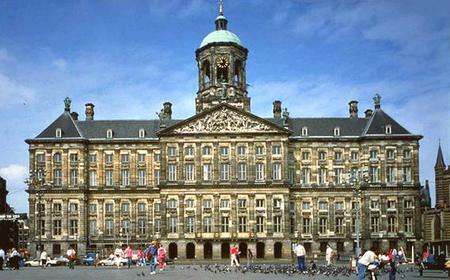 ...idered the center of the world. 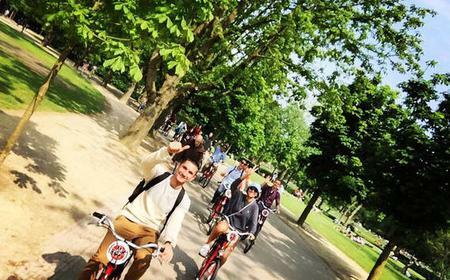 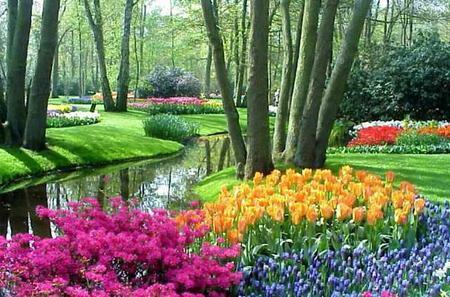 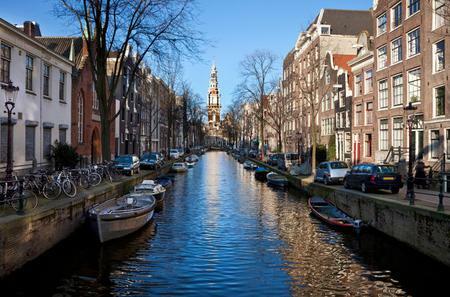 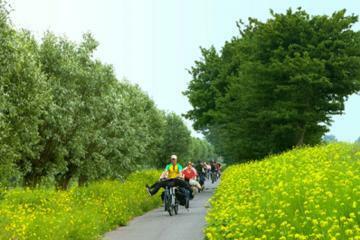 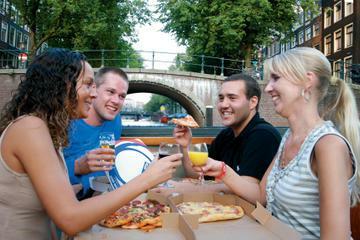 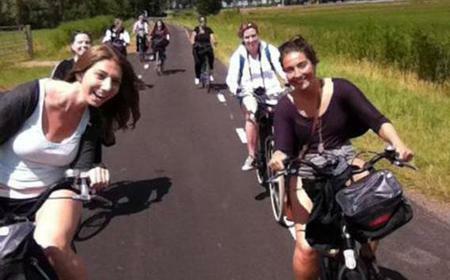 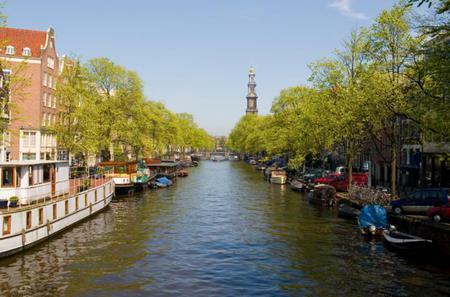 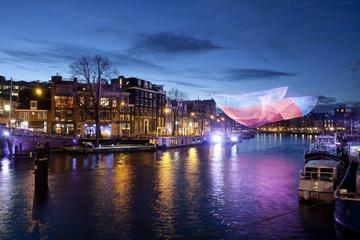 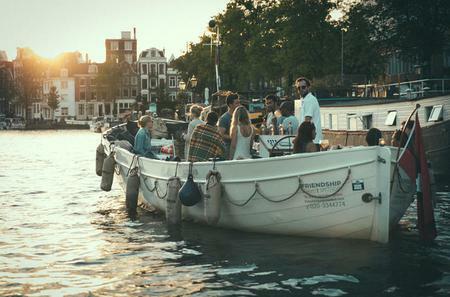 Pedal along the Canal Belt: Jordaan, Vondelpark, Museumplein, the Amstel River and more. 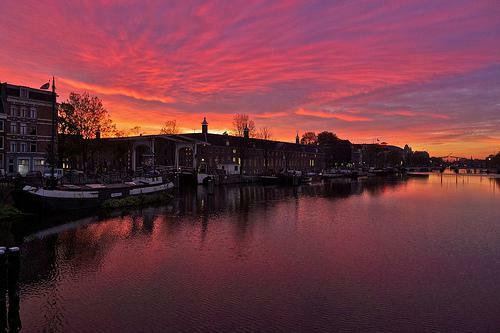 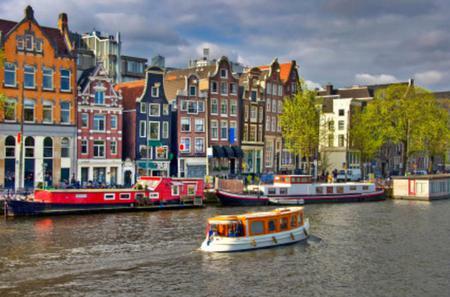 The Amstel River is an arterial waterway in Amsterdam, flowing over a 31 kilometre route from its origins at the confluence of Aarkanaal and Drecht into the IJ Bay. 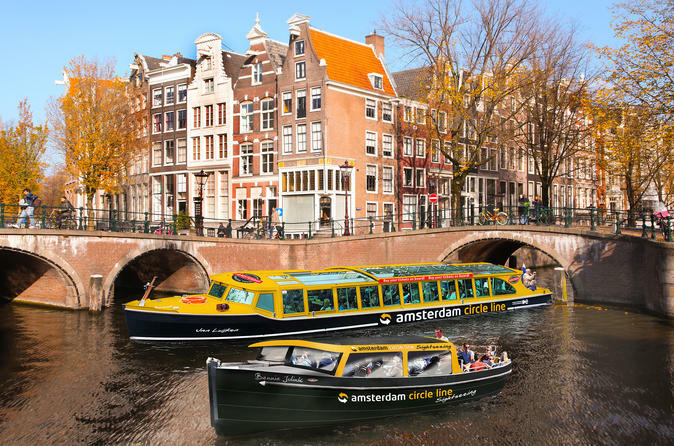 The Amstel River is an arterial waterway in Amsterdam, flowing over a 31 kilometre route from its origins at the confluence of Aarkanaal and Drecht into the IJ Bay. 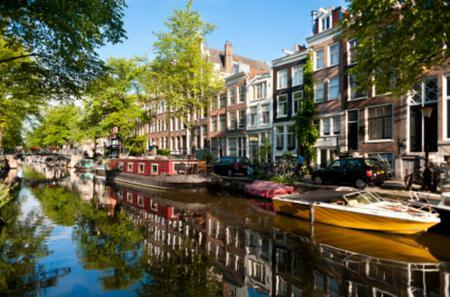 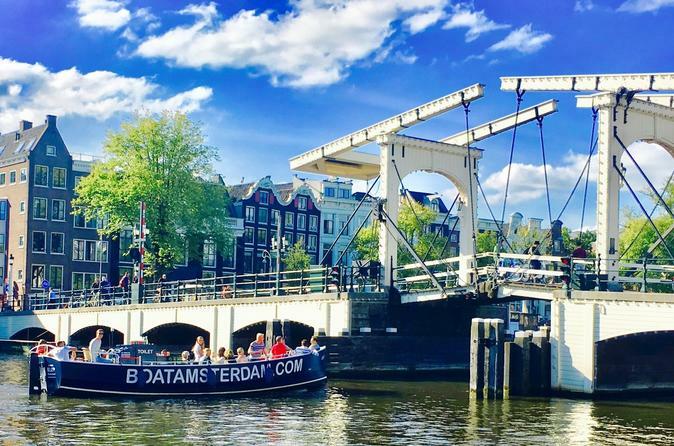 Amsterdam is named after the river, as the city developed from a small fishing village which settled on its banks during the late 12th century. 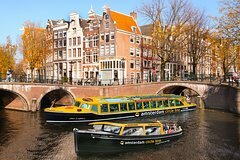 There are several bridges across the river such as the Magere Brug, and various pretty landmarks on its banks - Nationale Opera & Ballet, and Hermitage. 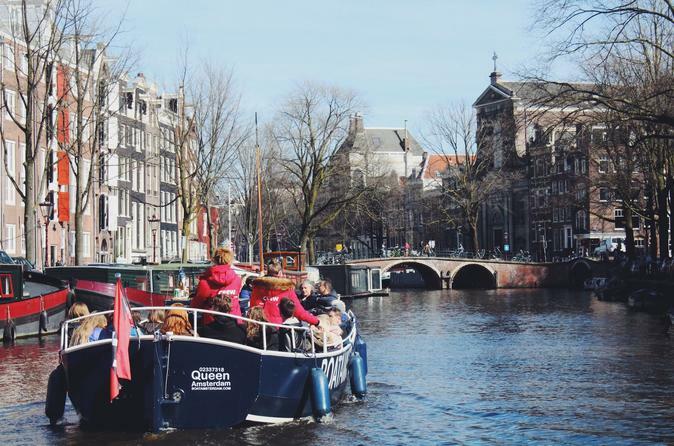 Take a leisurely cruise on the Amstel to get out into the Dutch countryside near Amsterdam, or bike along its banks to admire the scenery.